Fans of KIN’s works should also keep an eye on the next releases by Chloe x Halle, Taya, Ella Henderson, Lovelle, Grace Carter, Mali-Koa, Calum Scott, Mahalia, Tamera Foster, Ava Lily, Liza Owen, and Molly Kate Kestner. His current promotional single “Let Go of the Summer” – featuring Robbie Jay – is now available via iTunes, Apple Music, Amazon, Google Play, Tidal and all other digital streaming platforms. Meanwhile, DAKOTA’s upcoming debut project – featuring “Lonely Like a Fool” and “Long Hot Summer” – is expected to arrive later this year via 70Hz Recordings and Virgin EMI Records. Executive-produced by Fraser T. Smith, the still-untitled collection reportedly delivers additional alliances with Mac & Phil, Jordan Riley, Tre Jean-Marie, LOSTBOY, Fred Cox, Two Inch Punch, Luke Fitton, Phil Cook, Maths Time Joy, DJ Freedo, Josh Record, Bless Beats, and Future Cut. Watch the music video for “Long Hot Summer” below. 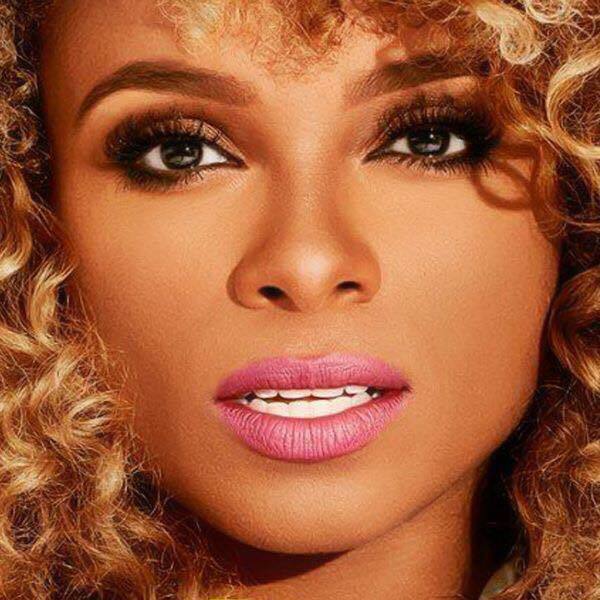 British singer/songwriter Fleur East has enlisted Hanni “Youthonix” Ibrahim and Gavin Jones for a new collaboration. East, on the other hand, is expected to drop her second album and follow-up to 2015’s “Love, Sax and Flashbacks” later this year via Syco Music. The still-untitled project reportedly delivers further productions from Mac & Phil, Tre Jean-Marie, Laconic, DJ Freedo, M-Phazes, Leland, Mojam Music, Red Triangle, LOSTBOY, and Goldfingers. On the songwriting front, East has worked with Maegan Cottone, Dayo Olatunji, Grace Tither, Tayla Parx, Fiona Bevan, Chiara Hunter, Hannah Wilson, Lauren Aquilina, Jessica Morgan, Sam Romans, Jacob Attwooll, Bryn Christopher, JHart, Talay Riley, BullySongs, and Philip Plested. Stream “Love, Sax and Flashbacks” below. Fleur East has tapped LOSTBOY for her upcoming sophomore album. The British record producer and songwriter, born Peter Rycroft, previously worked with the likes of KLOE (“Liability”), Sarah Close (“Call Me Out”), Gavin James (“Bitter Pill”), PJRR (“Moth”) and Chloe Howl (“Phantom”). 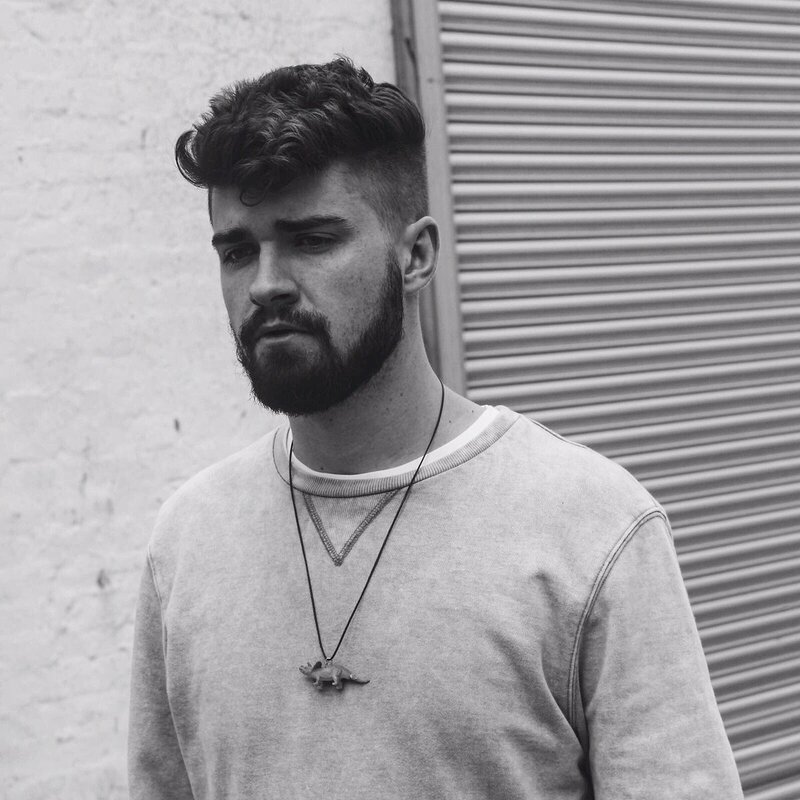 LOSTBOY’s resume boasts additional collaborations with songwriters and fellow producers including Matt Parad, Anita Blay, Martin Brammer, Rachel Furner, Adam Argyle, Maegan Cottone, Javeon McCarthy, and Max McElligott. Meanwhile, East is expected to drop her second studio collection, which serves as the follow-up to 2015’s “Love, Sax and Flashbacks,” later this year via Simon Cowell’s Sony imprint Syco Music. The still-untitled project reportedly delivers further productions from Mac & Phil (Emeli Sande), Tre Jean-Marie (Jason Derulo), Laconic (Ella Henderson), DJ Freedo (Little Mix), M-Phazes (Zara Larsson), Leland (Troye Sivan), Mojam Music (Sam Smith), Red Triangle (Cheryl) and Goldfingers (Liza Owen). Fans of LOSTBOY’s songwriting and production works, on the other hand, should keep an eye on the next releases by DAKOTA, Becky Hill, KStewart, Camden Cox, Antigoni Buxton, Tove Styrke, MY, Amber-Simone, and Maverick Sabre. Fleur East has tapped the songwriting services of Grace Tither for her upcoming sophomore album under Simon Cowell’s label Syco Music. Tither’s resume boasts further works with producers Ki “KiFi” Fitzgerland, Tre Jean-Marie, Bhavik “Knightstarr” Pattani, James Flannigan, Mich “Cutfather” Hansen, Kasper Larsen, Josh Wilkinson, Duck Blackwell, Paul Harris, Michael Angelo, and Jez Ashurst. The follow-up to 2015’s “Love, Sax and Flashbacks,” on the other hand, is expected to arrive later this yea via iTunes, Apple Music, Amazon, Google Play, Tidal and all other digital streaming platforms. The still-untitled project reportedly delivers additional songwriting contributions from Maegan Cottone, Dayo Olatunji, Tayla Parx, Fiona Bevan, Chiara Hunter, Hannah Wilson, Lauren Aquilina, Jessica Morgan, Sam Romans, Jacob Attwooll, Bryn Christopher, JHart, Talay Riley, BullySongs, and Philip Plested. Among the producers expected to appear on the album are Goldfingers, Tre Jean-Marie, Laconic, DJ Freedo, PRGRSHN, Ryden Carl, M-Phazes, Nana Rouges, Mojam Music, Red Triangle, TMS, and Mac & Phil. Fleur East has added Mac & Phil to the list of contributors for her upcoming sophomore album. The British duo – composed of Matthew Holmes and Philip Leigh – recently co-produced “Bloodstream” for The Chainsmokers and co-wrote it with regular collaborator Philip Plested and Columbia recording artist Phoebe Ryan. Other musicians expected to appear on the follow-up to 2015’s “Love, Sax & Flashbacks” are Mojam Music (Sam Smith), Leland (Rachel Platten), DJ Freedo (Little Mix), PRGRSHN (Angel), Laconic (Imani Williams), M-Phazes (Keyshia Cole), Tre Jean-Marie (Bobii Lewis) and Red Triangle (Charlie Puth). Fans of Mac & Phil’s work, on the other hand, should keep an eye on the next projects by Ava Lily, Tamera Foster, Ella Henderson, Carys Selvey, Etham Basden, Arlene Zelina, Kara Marni, Liza Owen, Melissa Steel, Taya, Mahalia Burkmar, Becky Hill, DAKOTA, Mali-Koa, and James Morrison. Fleur East has teamed up with Red Triangle for a new collaboration. The follow-up to 2015’s “Love, Sax & Flashbacks” reportedly boasts additional productions from Mojam Music (Emeli Sande), Leland (Selena Gomez), DJ Freedo (Shola Ama), PRGRSHN (Samm Henshaw), Laconic (Cover Drive), M-Phazes (Zara Larsson) and Tre Jean-Marie (Craig David). Zara Larsson has unwrapped the tracklist for her upcoming album, “So Good,” which will arrive on March 17 via TEN Music Group and Epic Records. The title track – now available via iTunes and all other digital streaming outlets – was co-written by Charlie Puth alongside Jacob “JKash” Kasher (Ariana Grande, Jake Miller), LunchMoney Lewis (Meghan Trainor, Ricky Reed) and DannyBoyStyles (Jason Derulo, Nicki Minaj). Other album songwriters include Livvi Franc (Rihanna), JHart (Keith Urban), Eskeerdo (Fifth Harmony), Julia Michaels (Tinashe), Ed Sheeran (Taylor Swift), Ana Diaz (Britney Spears), Johnny McDaid (Harry Styles), Ina Wroldsen (Jess Glynne) and Ammar Malik (Selena Gomez). On the production front, Larsson has also teamed up with Mike Spencer (Gabrielle Aplin), Steve Mac (Ella Henderson), Fred Ball (Jessie Ware), MAG (Colbie Caillat), Jason Gill (Tove Lo), M-Phazes (Keyshia Cole), DJ Freedo (Little Mix), MNEK (Craig David) and The Monsters & The Strangerz (Bebe Rexha). See the tracklisting for “So Good” below.